On Monday, September 24 at the UN General Assembly in New York, President Trump signed the revised KORUS deal with South Korean President Moon Jae-in calling it a “brand new agreement”. The revised deal includes an extension to the phase-out period for the 25% U.S. tariff on trucks. The tariffs had been scheduled to phase out by 2021, but the amendment will lengthen the phase-out period to 30 years (i.e., until 2041). Additionally, the number of manufactured car exports to Korea under U.S. standards was doubled from 25,000 to 50,000. It is unclear, however, as to whether these changes will exempt Korea from the potential auto tariffs threatened by the administration under Section 232. Other amendments include harmonized vehicle testing requirements, Korean recognition of U.S. standards on parts, and improvements to fuel economy standards. There also were modifications to Korea’s customs and verification processes, and its pharmaceutical pricing policy. Once complete and certified by both governments, the documents may then be finalized for signature. Per the US Chamber of Commerce, the Korean government hopes to ratify the agreement this year, bringing it into effect on January 1, 2019. The CalChamber reaffirms its support for the KORUS free trade agreement. Defending KORUS is a priority issue for the U.S. Chamber, CalChamber, and businesses across the country. The U.S. business community views the KORUS FTA as a strong agreement. The KORUS provisions are beneficial for U.S. industries, agricultural enterprises, farmers, ranchers, energy companies and automakers. 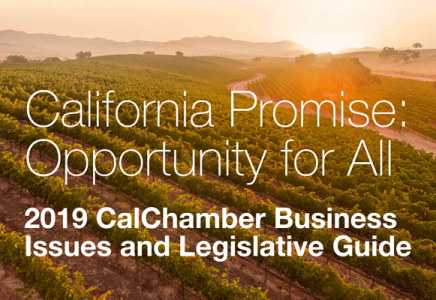 The CalChamber, in keeping with long-standing policy, enthusiastically supports free trade worldwide, expansion of international trade and investment, fair and equitable market access for California products abroad and elimination of disincentives that impede the international competitiveness of California business. New multilateral, sectoral and regional trade agreements ensure that the United States may continue to gain access to world markets, resulting in an improved economy and additional employment of Americans. The KORUS FTA sends a strong signal that the United States intends to remain heavily engaged in the region for a long time to come in business, economics, security and international politics. The FTA strengthens the 70-year-old alliance between the United States and South Korea, while reinforcing the economic and political reforms South Korea continues to make.